Fowler microscopes offer sharp image definition for clear viewing of microscopic contents. 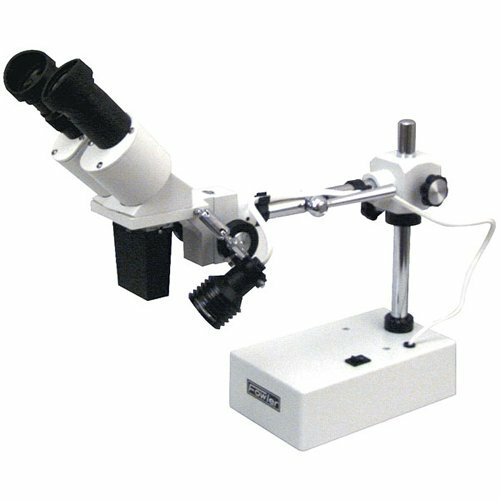 X-tra Range Microscope allows 10x eyepieces with adjustable centers and rubber eyecups. Top swiveling light source with 12V lamp and 120V power. Positive rack and pinion focusing. Includes 2x objective lens and 12″L articulating extension arm. Heavy base plate ensures stability and houses transformer.